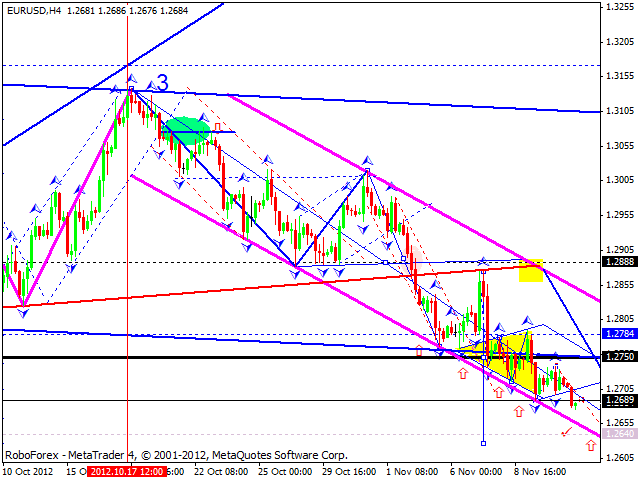 The EUR/USD currency pair continues moving downwards inside the third wave, the target is at the level of 1.2640. We should pay closer attention to the formation of a pivot point. If the market isn’t able to start forming it again, then this wave may be expanded in a downwards direction. 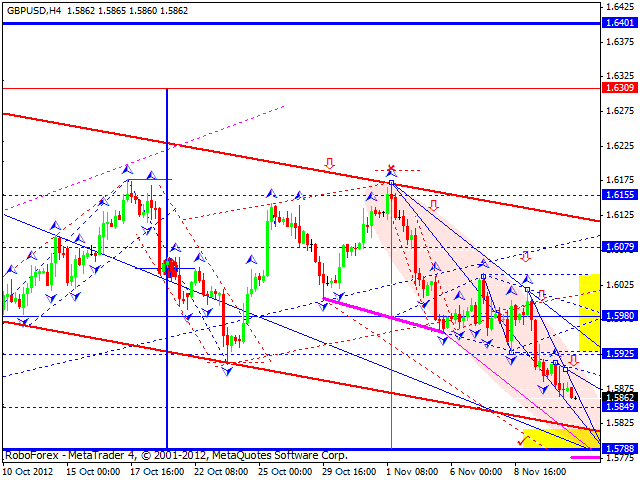 The GBP/USD currency pair continues falling down inside the fifth wave. Today the price is expected to continue moving downwards. Any attempts to start an ascending movement will be stopped by the level of 1.5690, which may also force the price to move towards the target at 1.5790. This level may be a starting point of a more serious consolidation and formation of a pivot point for a future correction. 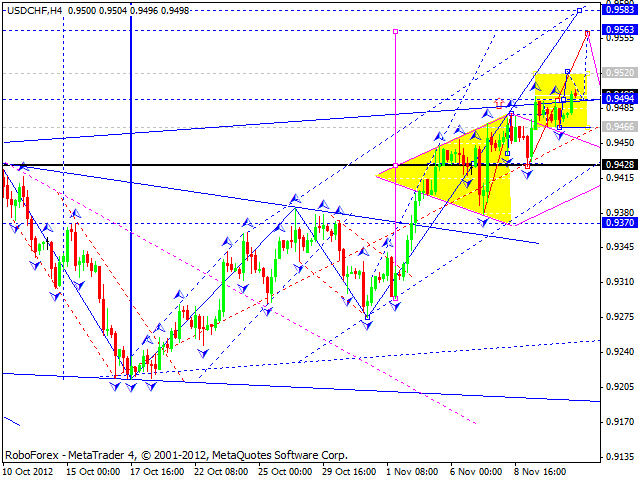 The USD/CHF currency pair continues moving upwards inside the third wave. We can see that the price renewed the tops, that’s why we can expect the market to reach the level of 0.9520. Later the pair may consolidate for a while and continue growing up towards the target at 0.9560. The USD/JPY currency pair is forming another ascending structure. Today the price is expected to reach the level of 79.20 and then grow up towards the upper border of “divergent triangle” pattern. The target is at 79.90. 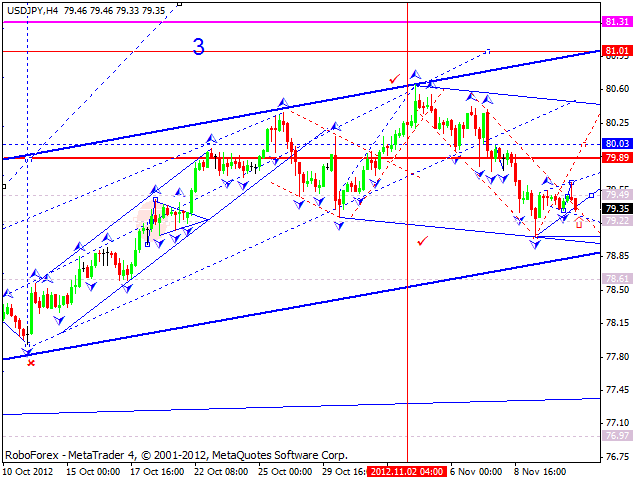 Later the pair may start a correction towards the level of 79.46. 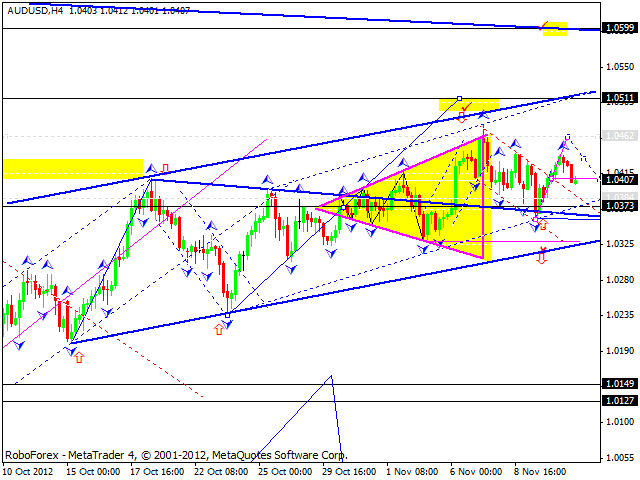 Australian Dollar formed a continuation pattern without a correction of the first wave. We can see that the price reached the first target and returned to the level where the channel had been broken. After that the pair is expected continue growing up towards another target at 1.0460. Later the price may start a new correction before reaching the level of 1.0510. 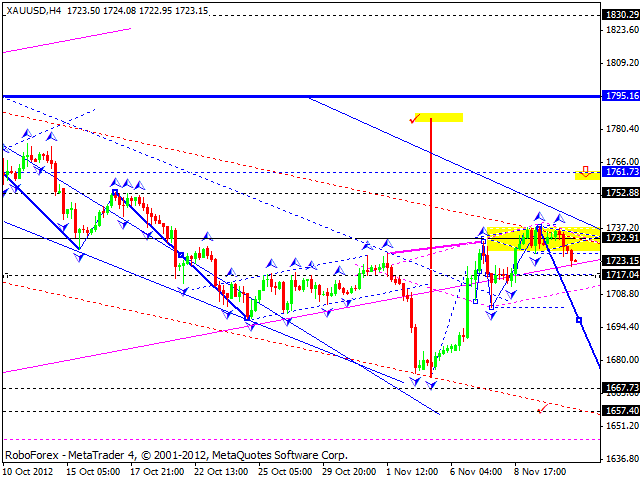 Gold completed a consolidation pattern at the top and then broke it downwards. Thus, today the instrument is expected to continue moving downwards with the target at 1700. Later the price may consolidate for a while inside a narrow trading range and continue falling down.